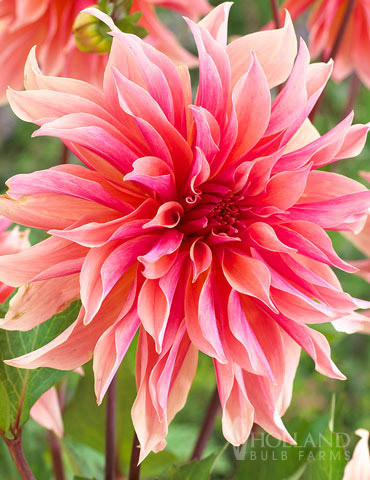 Labyrinth Dahlia is a new and exclusive dahlia from our growers in Holland. The varying shades of pinks and peaches, make this a summer time favorite! Plant with orange and yellow colors for a warm and tropical feel! There were a lot of long tubers that were broken. There were some small tubers around the center beneath the stem. I asked for a replacement which they quickly took care of for me. I have not seen any eyes, but I have only had them for a week or two.